Saw there was no thread yet about the latest limited edition, so here we go. I absolutely love the flavour. First fruity flavour that really hits my pleasure button, even better than apple pie. The other regular *fruit flavours I don't like, and I've enjoyed some of the limited edition fruit flavours (green apple, grape) but this one just hits the right spot for me. I don't know what you guys did this time to make it different, I kinda get a "buttermilk" (karnemelk) aroma when I combine the powder with water, maybe that's what does it for me? Was a big fan of karnemelk + limonadesiroop (buttermilk + fruit syrup) as a kid. I'm happy about this because caffeinated drinks fit my usage pattern the best, and while the macchiato flavour is great as well, I'd like to have a bit of variation to my mornings. 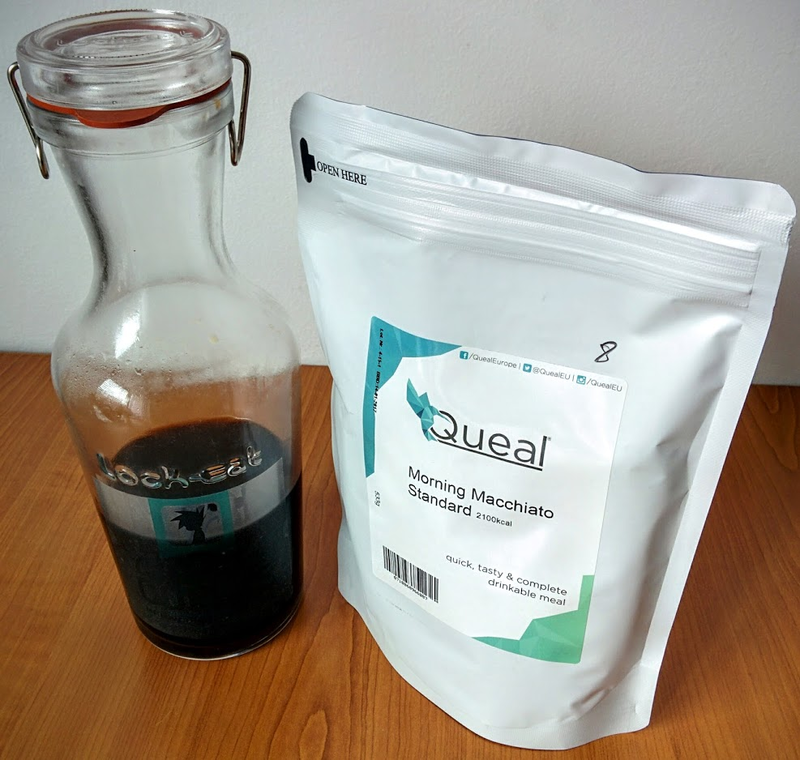 Of course there's plenty of flavours that work very well with replacing (part of) the water with coffee/espresso, but one of the major benefits of these meal shakes is how super easy & convenient they are to make; having to make coffee as part of the process removes a lot of that benefit (downgrading it to simply "easy & convenient"). Edit: forgot to specify I don't like the fruit regular flavours (aside from apple pie); I love the chocolatey ones. Glad to hear about your positive thoughts! I'll try that out, but to be fair, I am fussy about my coffee (I discovered through trial & error that coffee is actually more sensitive to heat than even white tea, so I make my coffee at 50-60 C). Maybe instant is not too bad in a shake though. Understood - whilst i'm not, I do know a fair few people who are. I think as you say - even as a coffee connoisseur - you may be ok with it as what is really a flavouring. Got to be worth a comparison - make 2 shakes side by side - taste both for the same meal. * Distributing Flow this way suggests that it is safe for anyone at all to take, which strongly suggests that it actually has no effect at all. Every type of instant coffee I tried (many) never felt right in the shake for me, taste was all messed up. The best thing was to replace part water with cold brew, that was always delicious. Distributing Flow this way suggests that it is safe for anyone at all to take, which strongly suggests that it actually has no effect at all. Why? Does having caffeinated shakes encourage people to treat caffeine casually? Do caffeinated shakes suggest caffeine is safe for anyone at all to take and that caffeine has no effect? The caffeine in the current limited edition purely comes from the Flow in it, so it should be quite representative of the product, no? Can't say I've gotten into cold brew yet, maybe that's something I should look into, thanks for the tip. Thank you, I did not realize that caffeine was a normal component of Flow itself. 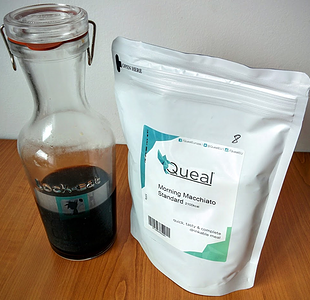 The product page for Flow (https://queal.com/en/flow) only mentions it in parentheses, "Guarana (10% caffeine) 875mg" leaving the user to figure out that one dose of Flow is the equivalent of one cup of brewed coffee (and twice a cup of espresso). The old "Boost Introduction" page does open with "The Queal Flow contains a fair bit of caffeine. This stimulant creates a sense of amped-up focus and mental energy." So, I was incorrect, I had misunderstood the Flow product. I had thought it was a nootropic stack, but It's that plus caffeine. I'll edit my blog post to make that clear. I'm sorry that wasn't clear to you in the first place @fernly! I have two sealed bags of Rad Raspberry Flow left. I don´t like the taste. Is there anyone who wants to buy it? Due to the shipping costs i´d pfrefer a buyer from germany.